Bio-Groom Anti-Stat Spray was developed to control fly-away hair, and eliminate static charges on hair that result from shampooing, drying, and combing. Anti-Stat leaves the coat natural and easy to comb and brush. Non-sticky, non-irritating and excellent for dogs. Fine mist sprayer. Spray a fine mist lightly over the coat-then simply brush or comb. 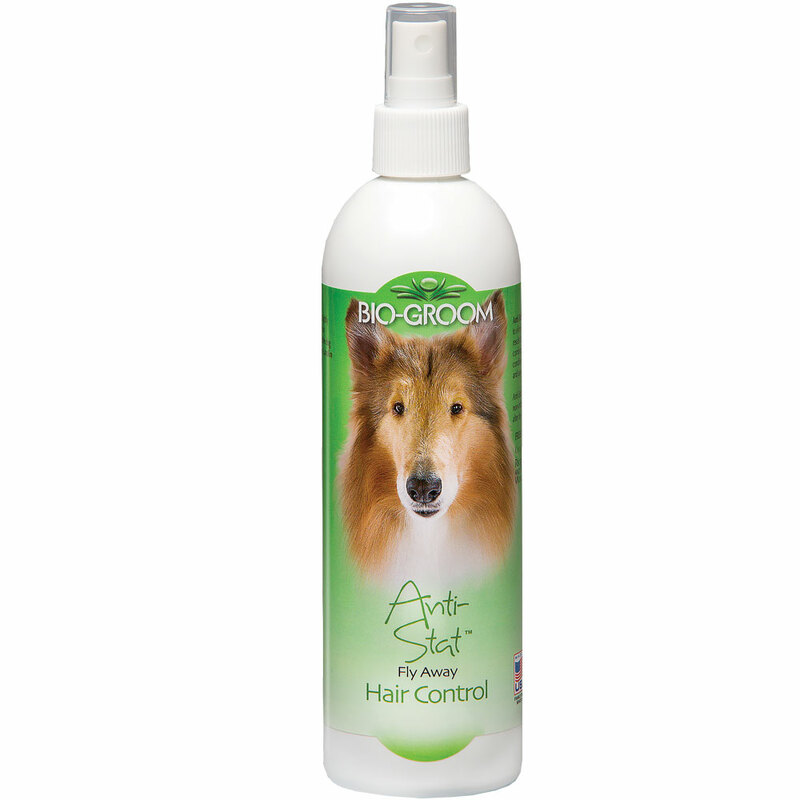 For exceptional results, bathe dog or cat with BIo-GROOM Protein-Lanolin rich, conditioning Shampoo first.